Don’t get me wrong, I love my local kindergarten – but this show-stopping preschool, boasting water views and a rooftop playground has me a little green with envy. Maybe more than a little. Come and take a stroll through one of the most spectacular kinders we’ve ever seen. 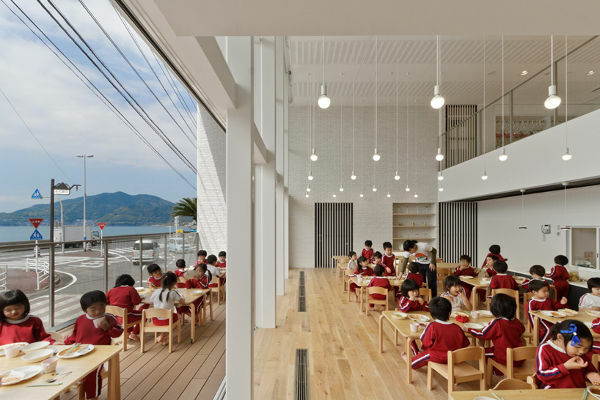 Japanese kindergartens have a tendency to be amazing. Like, the-ability-to-withstand-a-typhoon-but-still-be-stylish amazing. Or there’s the one that captures water so kids have a giant puddle to play in every time it rains. But I think this one, in Nagasaki may just take the cake. Nestled on what has to be a much sought-after piece of real estate, the OB Kindergarten and Nursery has stunning ocean views, which are made even more picturesque thanks to the nearby mountains. The entire building is designed to take in this amazing vista – by jutting up towards the sky. 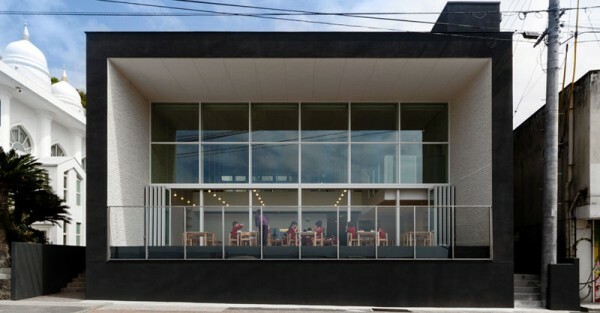 The cafeteria has terraces both inside and out, with huge, double glazed windows that ensure the view is soaked up. 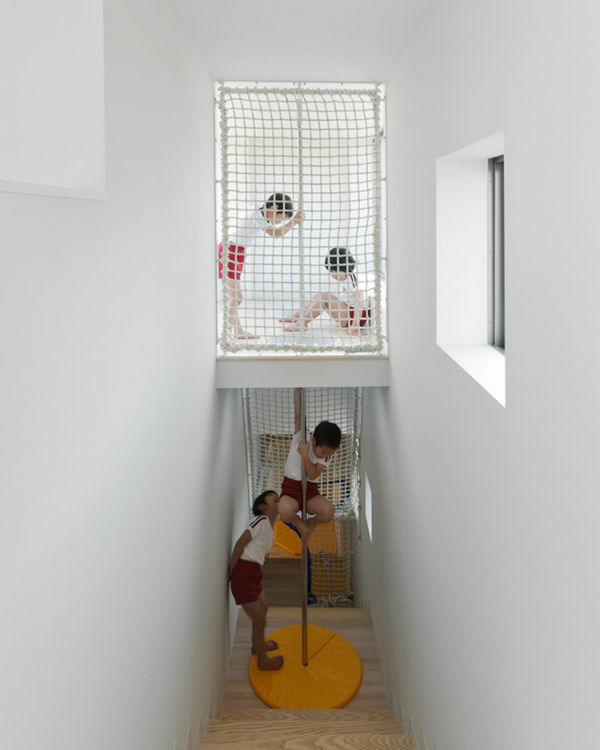 The adage that children learn through play is never more evident than in this space, which includes a loft that can only be accessed by climbing up the rope tunnel. And once they’re up there, the children have incredible ocean views from the terrace. 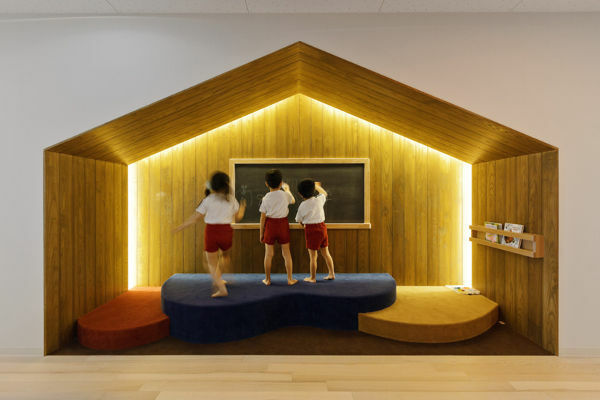 They also have access to blackboard walls, hidden in house-shaped spaces. 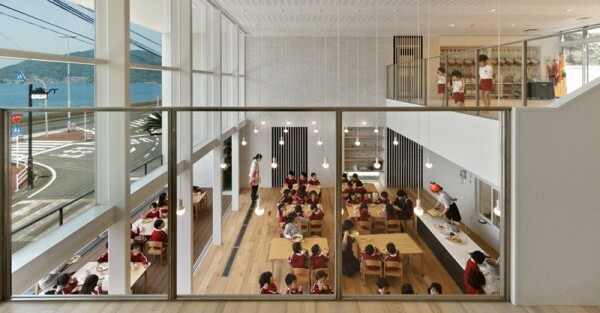 Designed by HIBINOSEKKEI + youji no shiro, it’s a truly magnificent learning and play building that shows incredible investment in Japan’s youngest students.